Posted October 21st, 2016 by Audra Williams & filed under Pilfering Pooches, Submitted, Surprise Poops. 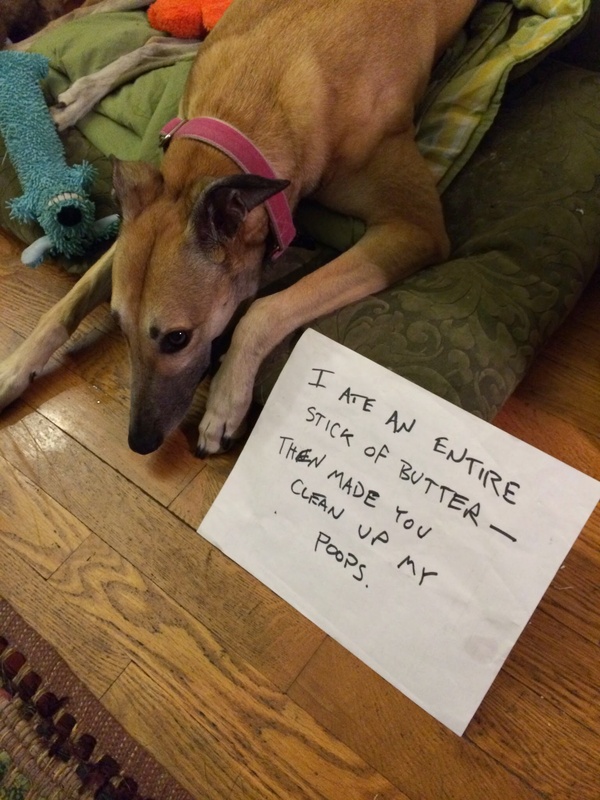 I ate an entire stick of butter, then made you clean up my poops. Posted October 20th, 2016 by Audra Williams & filed under Disgusting Doggies, Submitted. 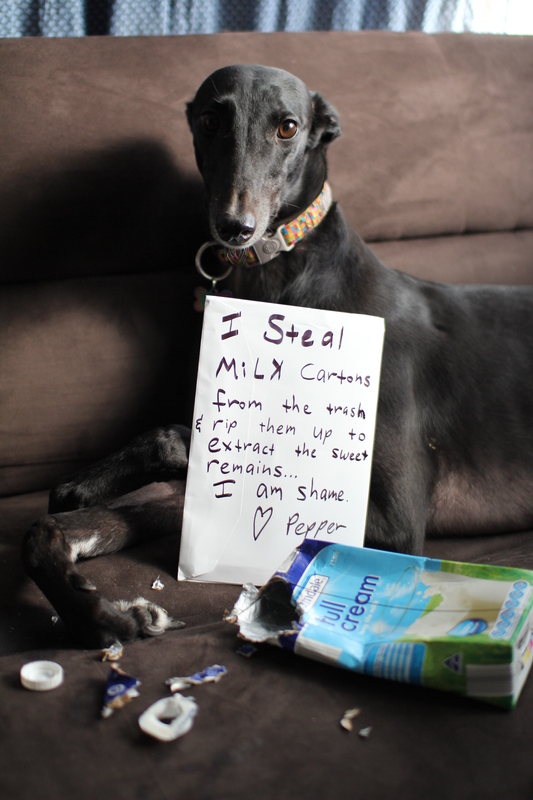 Pepper, my housemate’s rescue greyhound loves perusing the garbage for tasty morsels. Posted August 10th, 2016 by Audra Williams & filed under Dog Bed Destruction, Submitted. 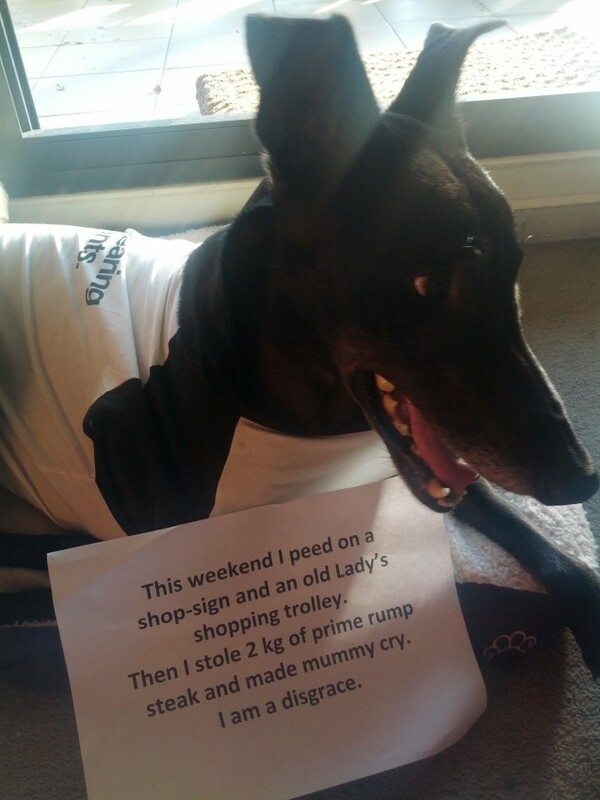 Posted December 25th, 2015 by dogkeeper & filed under Holiday Hooligans, Pilfering Pooches, Submitted. 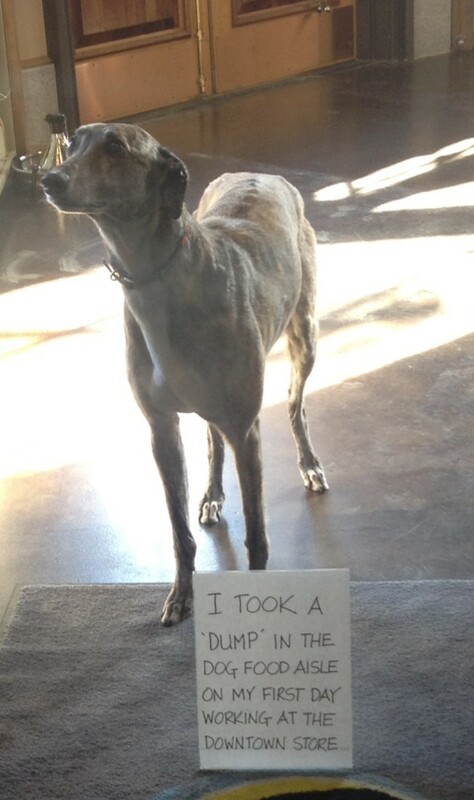 Posted November 12th, 2015 by Audra Williams & filed under Piddle Party, Pilfering Pooches, Submitted. 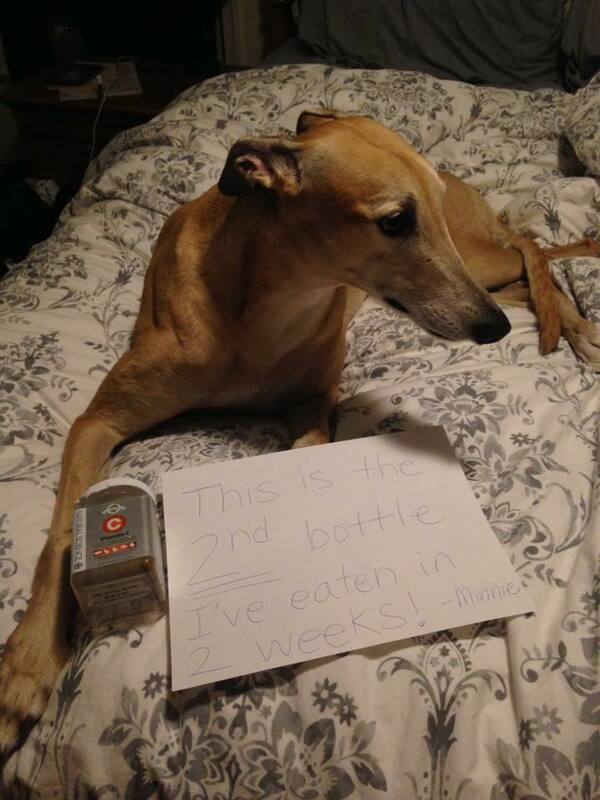 Indy the rescue Greyhound had been incredibly well behaved, until this weekend. 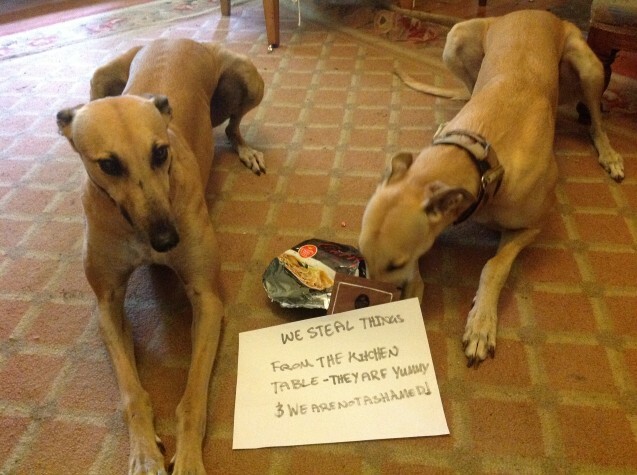 Posted August 25th, 2015 by Audra Williams & filed under Best Friend Betrayal, Submitted, Surprise Poops. Grace relieved herself in the pet food/accessory store aisle within 10 minutes of arriving for Mom-e’s work day. Posted August 3rd, 2015 by Audra Williams & filed under Double Trouble, Pilfering Pooches, Submitted. 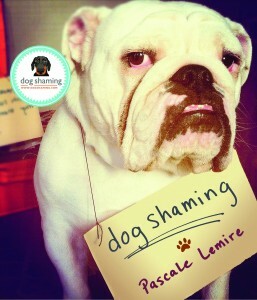 Posted June 17th, 2015 by Audra Williams & filed under Reading Rover, Submitted. Dr. Meredith is very enamored with the former President. She just wanted to give him a little love nibble. On his face. 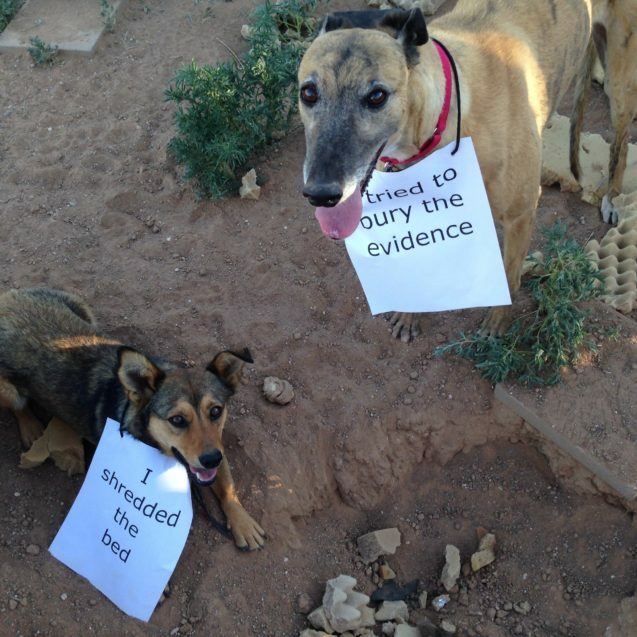 Posted June 17th, 2015 by Audra Williams & filed under Reading Rover, Submitted, Who's Training Whom. 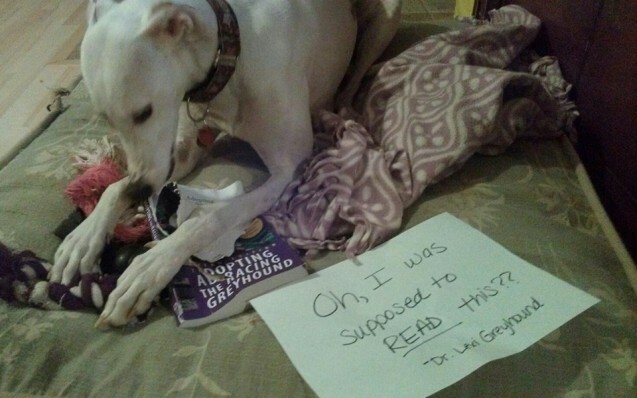 Dr. Lexi “Leave It!” Greyhound takes her reading very seriously. 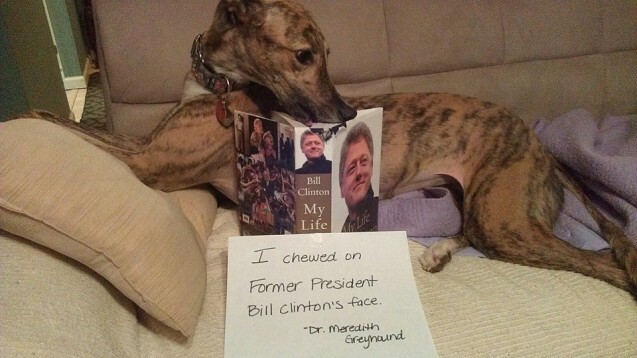 Among her favorite books is, appropriately, “Adopting the Racing Greyhound.” She loves this book so much she just had to eat it. Posted May 11th, 2015 by Audra Williams & filed under Submitted, Technophobes. 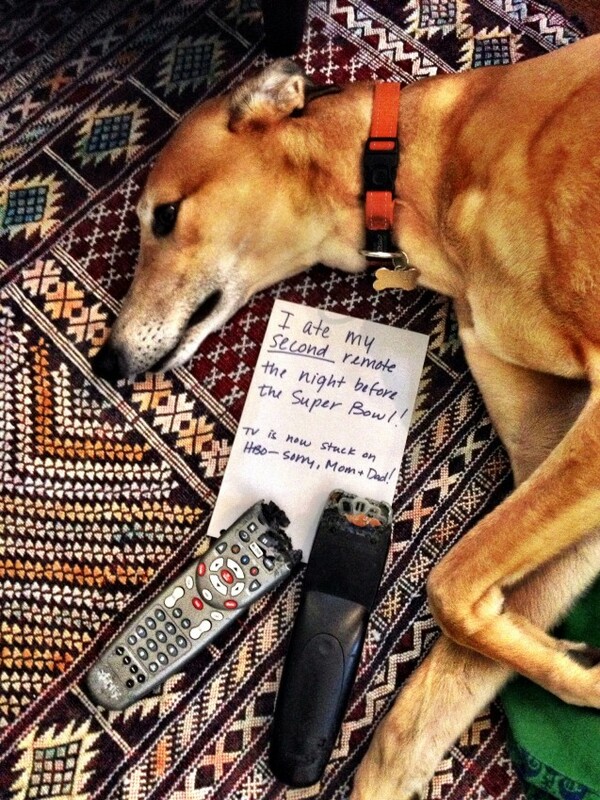 Hermes ate one remote and then ate the back-up the night before the Super Bowl. Channel-changing was not possible without a remote.